Express lanes are a congestion management tool used in urban areas across the United States including here in Florida.  As with transit, express lanes are just one of the many tools FDOT uses to address complex transportation and mobility challenges. Express lanes are optional travel lanes, located on an interstate or toll road, that customers can choose to use when they want to bypass congestion. The goal of express lanes is to ease congestion, improve the flow of traffic and give drivers travel options. 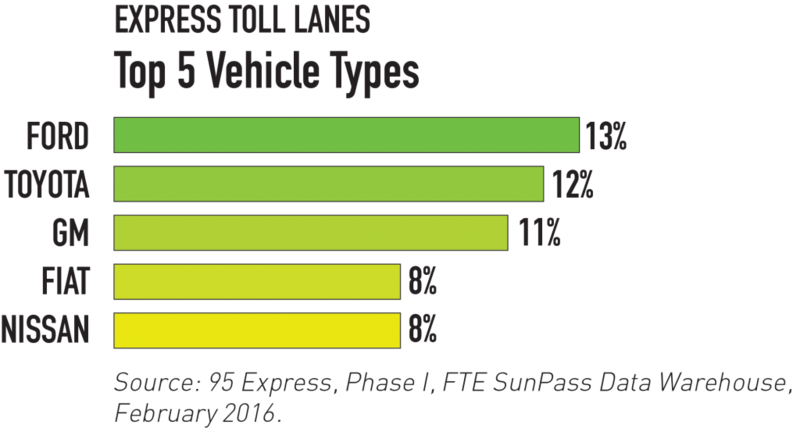 Express lanes are dynamically priced to maintain steady traffic flow in the lanes themselves. Prices change based on the amount of traffic in the express lanes. With dynamic pricing, prices increase as the express lanes become more congested and decrease as congestion goes down. Dynamic pricing is designed to provide more predictable travel times, particularly during peak travel. Express lanes are used successfully across the nation to manage congestion and provide reliable travel times in high-growth, urban areas, even in areas with robust transit systems. 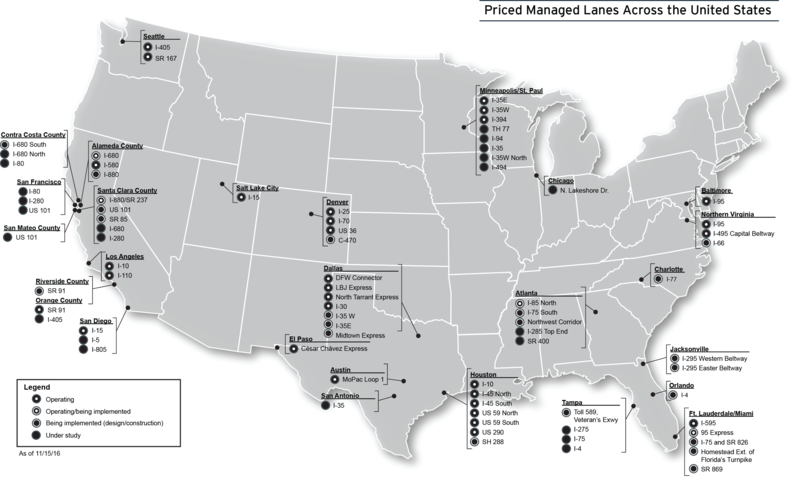 Express lane projects are gaining popularity as congestion management tools in urban areas across the Unites States because they are cost effective facilities that provide active management of transportation demand. Some argue that dynamic pricing in peak periods leads to prohibitively expensive tolls. According to the Traffic and Revenue Study for Tampa Bay Express (based on 2015 concepts), the TBX system would likely have estimated peak hour tolls in the range of $1.50 to $3.00 for typical trips in 2025. Express lane benefits are NOT limited to the express lanes. According to the Traffic and Revenue Study mentioned above, an estimated 20-30% of vehicles would use express lanes during peak hours. Think about that – If you are driving in a congested general purpose lane, and every 5th vehicle gets out of your way, wouldn’t you get where you’re going a lot faster? Where are express lanes planned for Tampa Bay? Where are express lanes under consideration? While the I-275 Innovation Corridor is not part of FDOT’s Supplement Environmental Impact Statement (SEIS) process, FDOT is reevaluating express lanes plans on that section in consideration of the Downtown interchange evaluation.